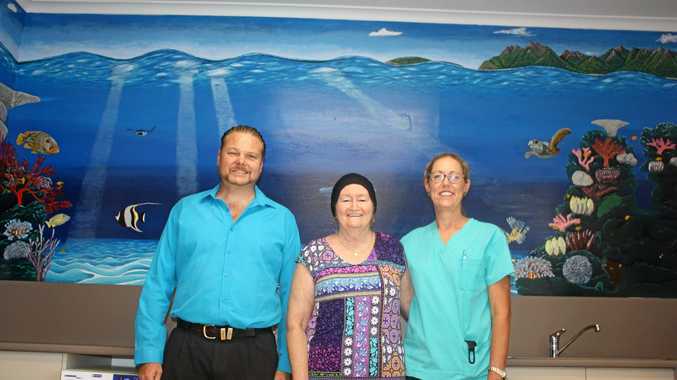 BOWEN Hospital has been administered an injection of colour by way of a new mural in the oncology ward. Deep blues and colourful fish now decorate the ward which treats Bowen cancer patients on a daily basis. The mural depicts Bowen's coral reef in all its glory under the looming peeks of Cape Gloucester. Artist Doug Eldred who spent three weeks painting the underwater masterpiece said after hospital staff gave him an idea it was simply a matter of filling the space. "I had access from Friday night until Tuesday afternoon," he said. "The staff wanted the islands peeking out in the background. 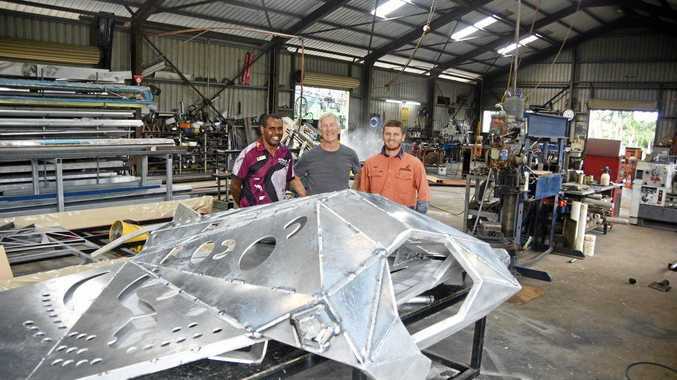 It features Bowen's most popular reef with its most popular catches." Oncology nurse Jay Doig said the goal of the mural was to brighten up the room to make the area more calming for patients. She said the staff couldn't be happier with how the final product turned out. She said patient feedback had been overwhelmingly positive. "We had seven patients through last week and they loved it," she said. "We wanted to brighten the room up but also make a bit of a calming area for the patients. "The artwork faces their beds and we wanted something nice for them to look at, and now they have just that."